In their 70 year history of making automotive type vehicles, Mahindra excelled with their delivery of rugged, dependable modes of transportation. So when they set their heads to making the worlds toughest, longest lasting “Side by Side” they already had a running start! 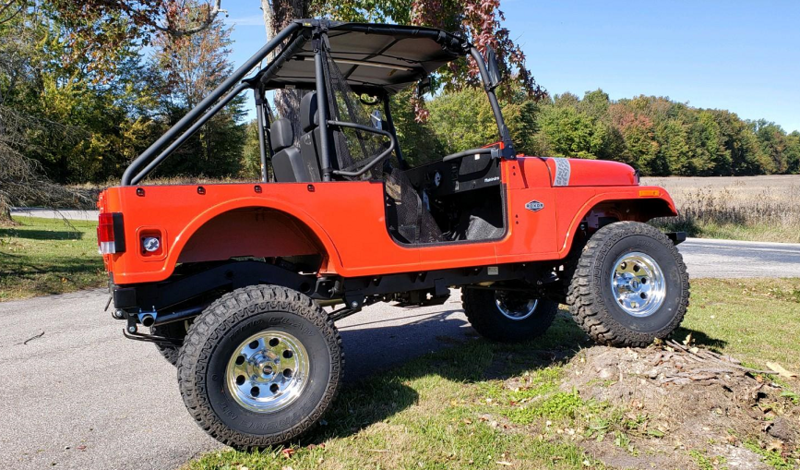 Enter…the Roxor UTV! 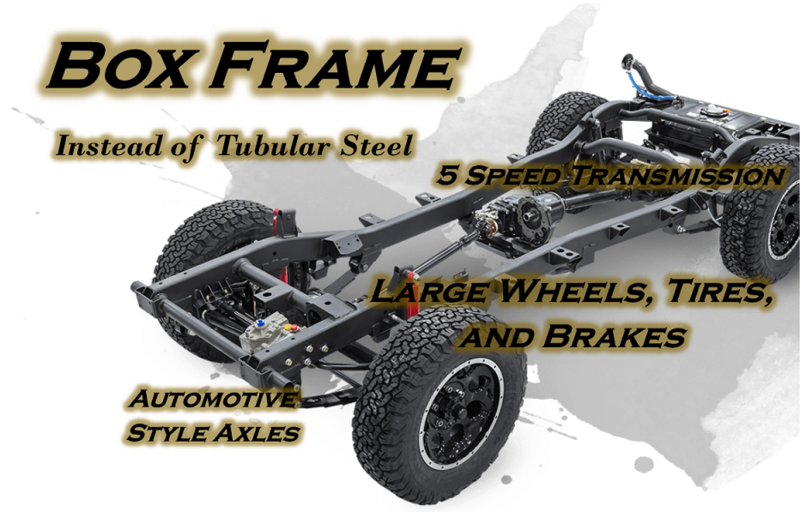 It all adds up to equal the most durable and dependable UTV on the market! Talk to Thornton's today about this LIFTED LE Model ! When looking to buy a new UTV (aka Side by Side, or SxS) there are a lot of options. When comparing features, you can often find similarities between Polaris RZR, Polaris Ranger, Honda Pioneer, Kawasaki Mule or Teryx, Can Am Maverick, Defender… the list goes on… but there is no comparison to the durability of the Mahindra Roxor UTV. The Roxor’s body parts are made from heavy guage steel, not plastic, like all of the other brands. Plastic parts are more expensive, and prone to fading, cracking, and breaking. While the other brands use a complicated unibody construction which is costly and difficult to repair, the Roxor has a fully boxed, ladder-construction, steel truck style frame which has already been well proven to be tough and resilient. Want a side by side that has an engine easily capable of a hundred thousand miles? There is no other choice than Roxor! The Roxor features a proven turbo diesel 4 cylinder engine. You won’t see that in a Polaris RZR or Ranger! You read that right. The Mahindra Roxor is built like a truck, to last like a truck, but designed for off road use. If you like to hunt, or if you like to roam the county roads, (in Indiana it’s legal), the Roxor is perfect. If you farm, this little beast is for you! 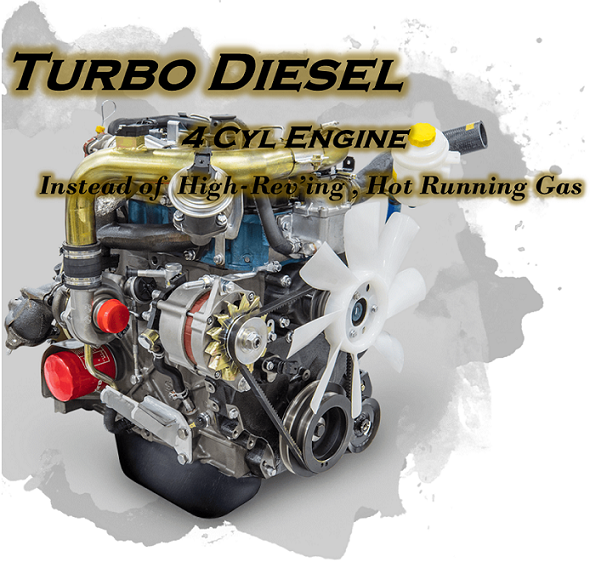 Besides the turbo diesel engine, it also has a truck inspired, heavy duty 5 speed manual transmission which drives 4WD power through its 2-speed transfer case connected to proven semi full-floating axles. The competition uses automatic rubber belted (CVT) transmissions inspired by scooters. 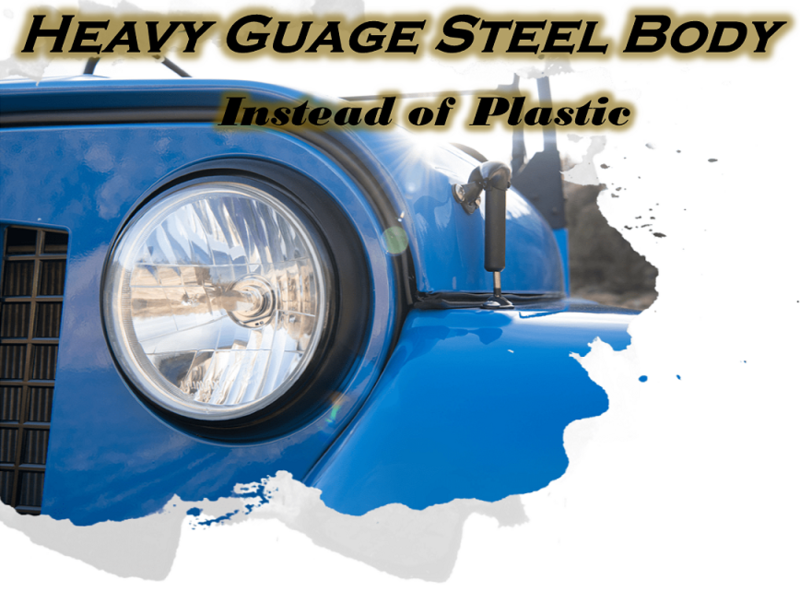 More “built like a truck” features? How about 16 inch wheels equipped with off-road radial tires and automotive sized front disc brakes! 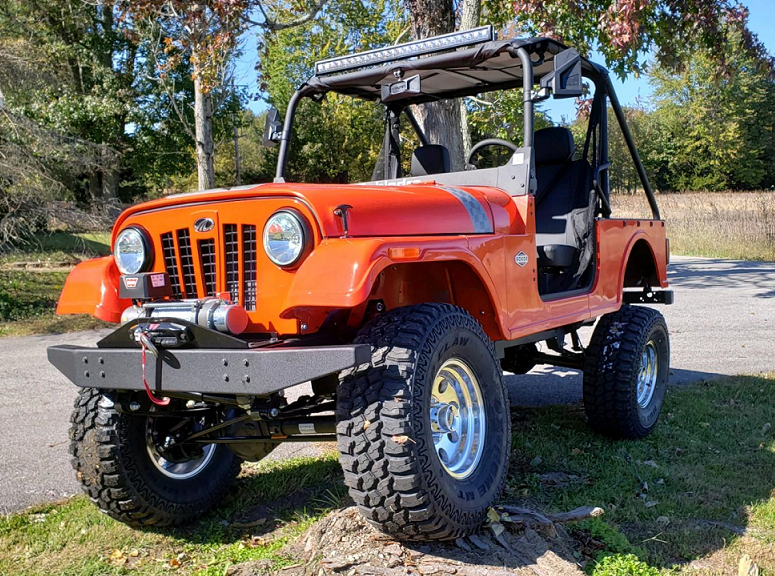 So, if you want the most UTV for the money, that will outlast anything like it multiple times over, look no further than the Mahindra Roxor. Call or stop in at Thornton’s in Versailles or Madison, IN for more information or to schedule a test drive.